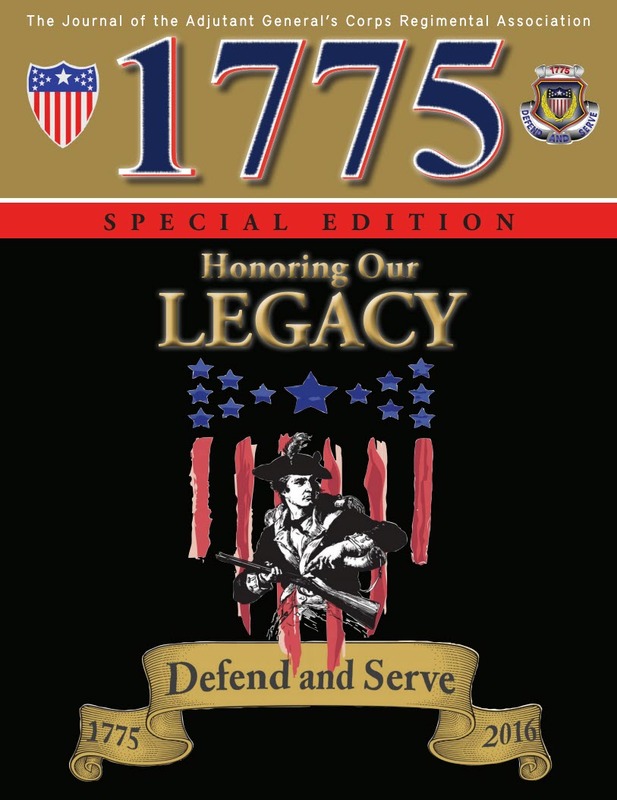 This special edition of 1775 is dedicated to the “Adjutant General’s Corps Legacy.” Upon graduating from The Citadel in 1980, I was commissioned a Second Lieutenant in the AG Corps. My first impression of the Corps was initially finding out that we are the 2nd oldest Army branch behind Infantry when on 16 June 1775, the Continental Congress established the position of Adjutant General to support General George Washington’s Army. The next day, Congress selected Horatio Gates to become the first Adjutant General of the Army with the commission of Brigadier General. So for 241 impressive years now our Corps has been selflessly serving the Army, though numerous wars, conflicts, engagements, and deployments to do what we do every day – enable Commanders and take care of Soldiers and their Families. Articles within this special edition will not only tell the Corps’ historical narrative and relevance to the Army, but we have also asked our distinguished Retirees and Veterans to contribute their stories as well providing their insights to our Regiment’s distinguished past. We hope you enjoy this special edition of 1775 celebrating the AG Corps’ 241st birthday and we welcome your feedback by e-mailing comments to magazine@agcra.com. 2016 AG Corps National Regimental Ball – LAST CALL FOR TICKETS!! !